Q BioMed (OTCQB:QBIO), has been getting attention from biotech investors and pharma industry publications for its “upside down” biotech business model. The company expects to continue making strides in developing their product offerings and appears well positioned to generate revenue in 2019 and beyond. Over the years, Investors have seen biotech companies as risky yet very profitable ventures. Mostly, this is due to the cutthroat competition where these companies have to come up with the best innovations in the healthcare department. Q BioMed (OTCMKTS: QBIO) has announced that it is bringing innovation to the treatment of Glaucoma- the the leading cause of irreversible blindness globally. Shares of MacroGenics, Inc. (NASDAQ: MGNX) soared after the company announced positive results from SOPHIA, the Company’s Phase 3 clinical study of margetuximab in HER2-positive metastatic breast cancer patients. An anticipated key FDA decision is set to transform Q BioMed (OTCMKTS: QBIO) from a biotech developer to a revenue generating manufacturer in what may be record time. That imminent event is already attracting interest from traders and investors, but a game changing plan revealed by the CEO may be an even stronger reason to focus on this emerging biotechnology accelerator. Below is a look at some of the headlines for companies that made news in the healthcare sector on November 11, 2015. Below is a look at some of the headlines for companies that made news in the healthcare sector on November 10, 2015. Below is a look at some of the headlines for companies that made news in the healthcare sector on November 9, 2015. 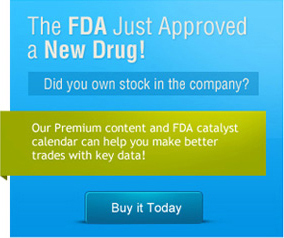 We are offering discounted subscription plans to join BioMedReports.com for a limited time. Biopharmaceutical firm GW Pharmaceuticals PLC - ADR (NASDAQ:GWPH) has confirmed positive top line results from exploratory Phase 2a placebo-controlled clinical trial of Cannabidiol in 88 patients suffering from schizophrenia.